It snowed here in Edmonton today! D's hands were literally frozen while she tried to get the camera rollin'. Since it's getting quite chilly...I think it's time for us to whip out our down jackets, gloves, hats, ear muffs, uggs, 3 layers of socks, build our igloos, and ride polar bears to school soon. Haha, kidding about the polar bears and igloos. I love these pants from Free People! The pattern and colours make them one-of-a-kind. 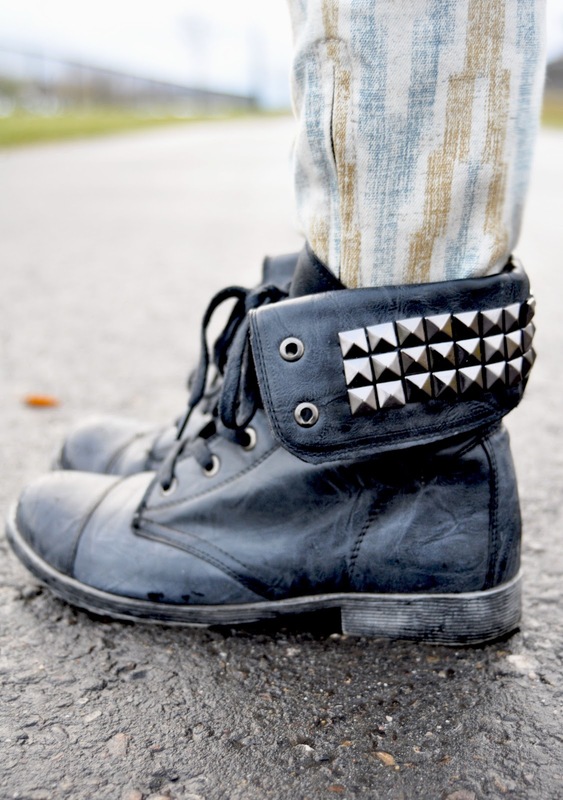 They have an awesome fit and it is just so easy for me to spot them in my closet! Oh and during one of my breaks today at school, I came across this jewelry stand that sold rings, bracelets and other stuff. They go by the name of Modern Glamour or something. I literally stood there for 1 hour looking at all their stuff! I managed to pick up 2 pieces...maybe I'll put up some pictures one day.